-GPX File includes 400 plus points of interest in the broader Chicagoland region, as well as trips along the major area rivers. 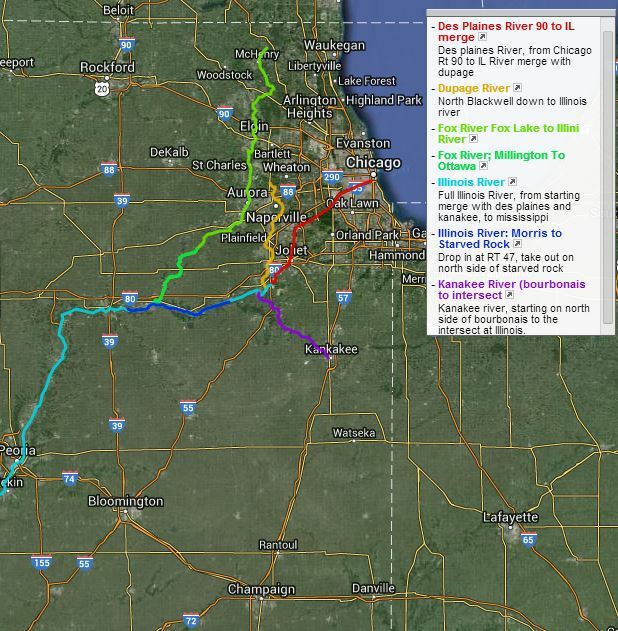 -Rivers_Distance includes a listing of points of interest: with mile markers and miles to go. Basically, it saves you from having to hand draw along to figure out how many miles it will take you to get to your destination. Please note that the islands marked are frowned upon by the IL DNR for camping. Then again, the DNR doesn't seem to have many habitat police boats patrolling the rivers. Please watch out for nature, and leave no trace!